It's New Year's Eve, and the fireworks are poppin'! Maybe it's a little vain of me to say, but I like my eyes. I like their deep brown color. I like my one wonky eyelash that turned white and grows longer than all the others. I like how expressive my eyes are. What I don't like is when my eyes are tired, puffy, and the skin around them is wrinkled and sagging. And that's why I love eye creams. 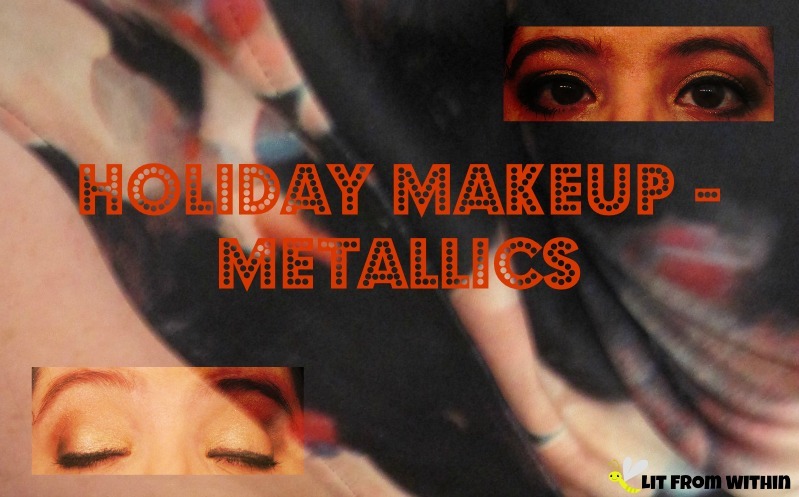 For this holiday season, I've been focused mainly on light, glittery eyes and red lips for my looks. It's still a fave, but I thought I'd show you a darker, smoky teal eye with a light lip that might be fun for a night out. Today, I want to share with you my experience using Bright Therapy's Trident Skincare LED system. It uses light waves to treat all manner of skincare issues! This Stamping Sunday, I'm cheating a little. At the time I'm writing this, I don't actually know what the challenge will be. But, as you're reading this, I've just returned home from visiting family, and I'm probably sleeping it off.... but, I have to stamp today, so I created my own challenge - the snowflake pond! Today's review is a bit of a strange one. I was given the opportunity to review an essential oil that I hadn't heard of before, so I was excited to try it. Simply Earth's Penny Royal oil smells great, and they donate 13% of the profit to organizations rehabilitiating trafficking victims. Unfortunately, this oil may be too dangerous to mess around with. What I used to create this funky Christmas tree: white base, Debprah Lippmann Stand By Your Man, Butter London Sozzled, CoverGirl Emerald Blaze, Ulta Silver Bell, and Orly Shining Star. Best wishes for a wonderful day, from me to you! I love receiving presents, but I love giving them, too. I'm looking forward to exchanging gifts with my husband and my family and hoping they love what I got for them. I can't believe December is almost over. This year is flying by! Today, I have the last of my Negative Space nails to show you. I haven't done a lot of holiday nailart this year, but I couldn't resist this one. Forlan BB Cream and OFRA Blush Stripes are Press Samples. All opinions are my own. As much as I am loving dark, smoky looks for evening these days, I've also discovered that I love a bright, metallic lid, too. The lightness brings attention to my mobile lid, making it look larger, and it's also easier to pair with a bold lip! Like a magpie to shiny, if a product claims to control blemishes without drying out my aging skin, I'm all over that. I love natural products that nourish and protect my face, while regulating my oil control and zapping zits. Will I be on Cloud 9 after using this moisturizer? Today's Sunday Stamping challenge is about getting ready for Christmas! For me, that means trimming the tree... and decorating my nails! I recently saw an article online that said that households in the UK are often judged by the type of soap they use. I've never been Across The Pond, and I don't know if that's true.. but if it is, I've found a really nice soap that should impress your family and friends. I am woman of many contradictions, and one of the biggest ones is on my face. I'm no longer a teenager, but still suffer from oily skin and blemishes! When I look for skincare products to balance my skin, I have to be careful that they are not harsh or drying, because that oily skin is also getting older and more delicate. I don't remember when I started using deodorant/antiperspirant, but it was a loong time ago. I seem to recall that I started with roll-ons, which were very wet and sticky in their day. I remember when we were first married, my husband used to use a spray deodorant, but it was also very wet. In those days, you applied, then you did a little dance with your arms in the air. We didn't "put our hands in the air like we just didn't care." We did it to keep our clothes from sticking to our armpits! Now, there's a new kind of spray! Time, yet again, for another installment of the Nail Challenge Collaborative's monthly theme. I've been having so much fun thinking of negative space nail art this month. Today's is... well, not exactly what I was going for. A snowflake fail? You decide! Every year around the holidays, I tell myself that I'm going to take it easier, not stress, not try to do it all. Some holidays I make it, and some I don't. This year, I'm feeling the stress. So, I'm trying to take some time to take care of me and my skin, including trying this new eye kit from Reviva Labs - Myoxinal-Infused Collagen Fibre Eye Pads with Skin Energizing Gel. It can't turn back time (only Cher can do that, y'all!) but can it help energize my eyes? Are you following me on Instagram? After seeing this, you may want to - and everyone else in this loop! 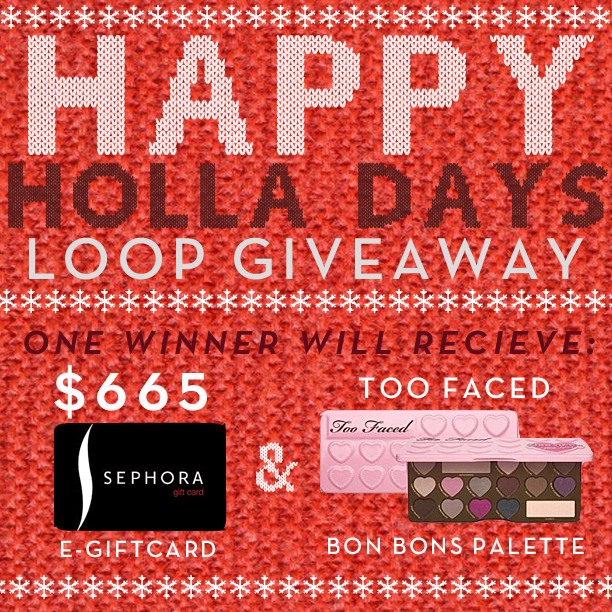 We're giving away a Sephora Giftcard, and the Too Faced Bon Bons Palette! When I think of the tradition of the 'Ugly Christmas Sweater,' I think of the scene in Bridget Jones' Diary, where Bridget is talking about how the guy her mom is setting her up with is probably wearing one, and he's behind her, eavesdropping... and wearing one. I kinda wish it was still a tradition, but here in Florida, the temps have been in the 80s, so the last thing I'm thinking about wearing is a sweater. At least there's nail art! I have bad vision, and it seems like I always have. I started wearing glasses in the 3rd grade, and still do. When I was younger, a quick check in the mirror was fine, but now that I'm older, I need more time to get ready, and the ability to really see the details. There's tweezing and plucking to be done, and older eyes take more attention to detail to look good. My best tool for these tasks? A magnifying mirror! You know how they say, that no matter how hard we try, sometimes we just end up becoming our parents anyway? Well, my mom is a Gadget Queen. She loves them. She has a gadget just for hulling strawberries; another for slicing avocados; a specially designed tupperware just for keeping frozen waffles... My mom also has amazing skin. She looks 20 years younger than she is. With the Lift Bar Pro, I'm fulfilling both my mom's love of gadgets, and for younger-looking skin! I love masks. Love them. If there's a new type of mask, I want to try it. I'd heard about 'bubble masks' in the K-beauty arena, but I was skeptical. What was the big deal, and could all that foaming actually *do* anything for my skin? But, when StriVectin asked me to try their foaming oxygen mask, I knew it wouldn't be all hype! Forlan BB Cream is a Press Sample. All opinions are my own. 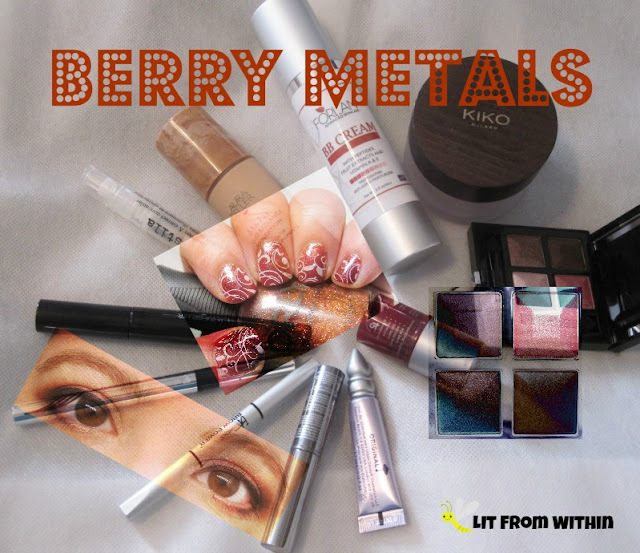 'Tis the season for getting your glam on! I wore this festive red look to a wedding, but it would also work for any holiday party. 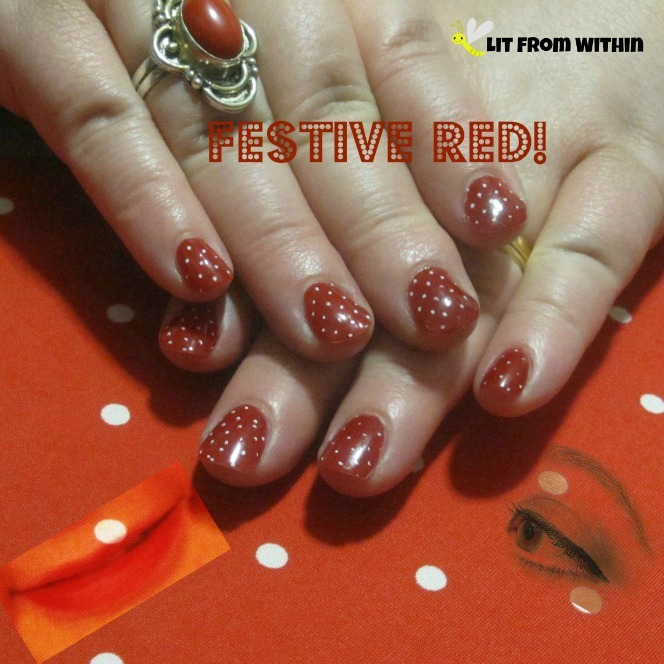 Nothing is more festive than a bright red! 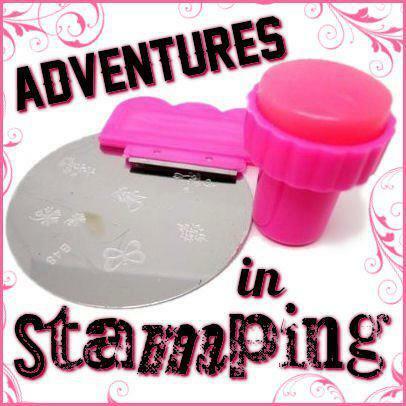 Time again for another Stamping Sunday! Today's theme is, 'good and bad fairies.' 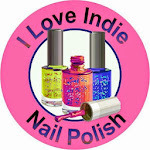 I stamp some of both with some special fairy polishes! One of the things that really got me started on my skincare journey was oil. My husband gets breakouts of eczema, and I've tried many oils to help soothe and heal his skin - and along the way, I've found really great oils that not only helped him, but were great for my skin or hair. I've found some really interesting oils, too, that I never would have found on my own. Neem oil is one of those unique oils! As a pasty-skinned, cave-dwelling Night Owl, I know I'm probably not getting enough Vitamin D from the sun. I drink my Vitamin D-fortified milk, and take a multi-vitamin, but is it enough? 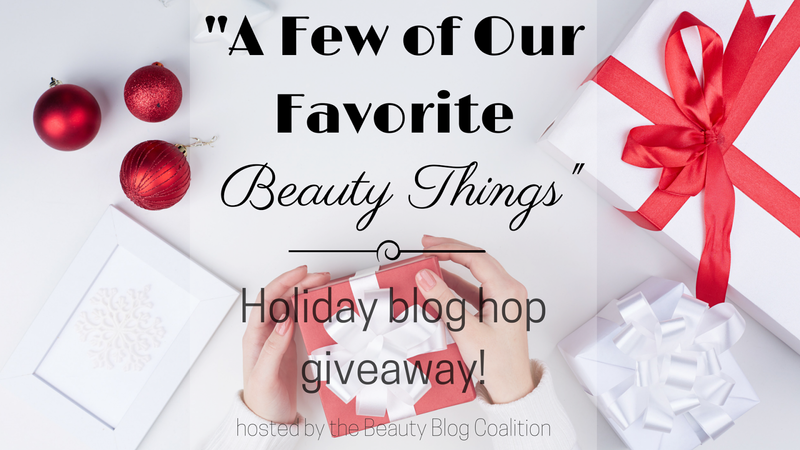 I'm going to check with my doctor to get my Vitamin D levels checked, and I've been using Skin Authority VitaD Fortified Topical Elixir to help my skin get more Vitamin D.
A total of 35 fabulous beauty bloggers have all teamed up to give away "A Few of Our Favorite BEAUTY Things!" to our readers! It was created to be a fun blog hop to give back to you -- our readers -- and hopefully help you discover new beauty blogs and makeup lovers along the way! 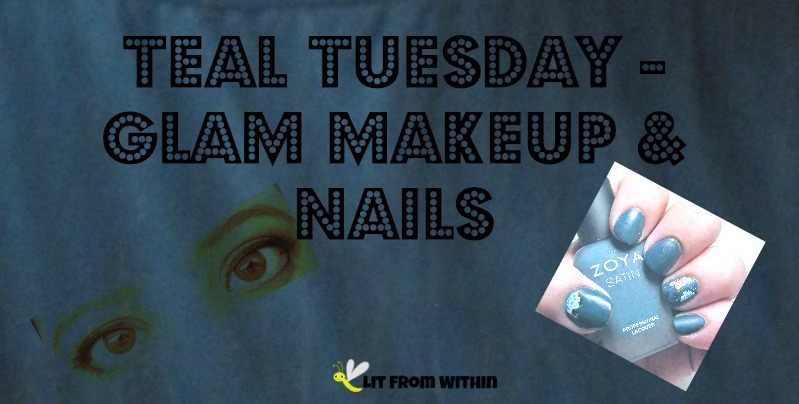 Welcome to a new month, and a new challenge theme from the Nail Challenge Collaborative! I'm excited about this month's theme - Negative Space. I love the concept, but don't use it that often, so I'm glad for the practice!